Futudent and Metropolia University of Applied Sciences are developing new concepts of operation with the help of the Futudent imaging system. Futudent will deepen its co-operation with Metropolia through a co-operation agreement signed on January 16, 2019. The aim of the collaboration is to develop and test new operating methods of the Futudent imaging system in teaching, guidance and customer work, and to develop the service concepts of continuing education and distance learning using Futudent. “We have been cooperating with Metropolia's oral health education for years. The purpose of this agreement is to expand cooperation with other Metropolia units as well. We develop products and services for clinical care and education in international markets that require multidisciplinary expertise. 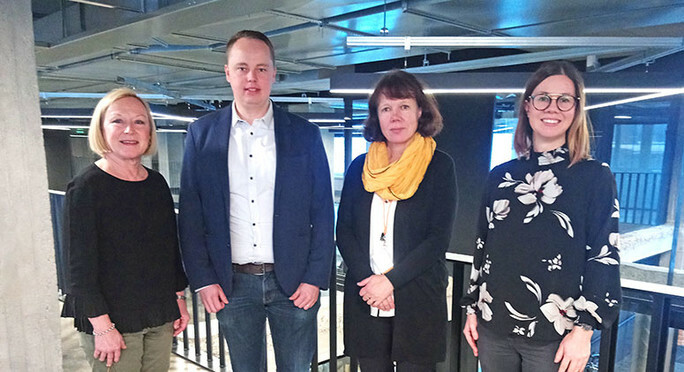 I believe that cooperation will enable Metropolia to utilize its multidisciplinary expertise and provide interesting projects for students”, says Teemu Uusitalo, Chief Digital Officer at Futudent. “We will continue to focus on the development of healthcare products and services. Development requires close cooperation with clinical nursing staff. We are doing this internationally with several universities, but it is great that we can develop methods and products here in Finland. At the same time, we can export excellent methods of Finnish health care, especially in preventive oral health care”, Uusitalo continues. “The use of the Futudent imaging system in oral care teaching is of interest to our teachers because it allows us to guide and share our expertise in a more versatile way. The camera can be used for learning various actions and handicrafts, demonstrations as well as in customer work in guidance of self-care. Students have given good feedback on the use of the camera, as it gives them a clearer view of the target area. Image and video materials are of good quality and can be shared with students through the cloud service system”, says Johanna Manninen, Lecturer at Metropolia. “The use of the imaging system offers many possibilities that we brainstorm and test with Futudent. Collaboration will help us achieve higher quality teaching and know-how for our students. We can share expertise, develop online education and continuing education, as well as increase national and international collaboration with different educational institutions”, Manninen continues. Link to the original news.